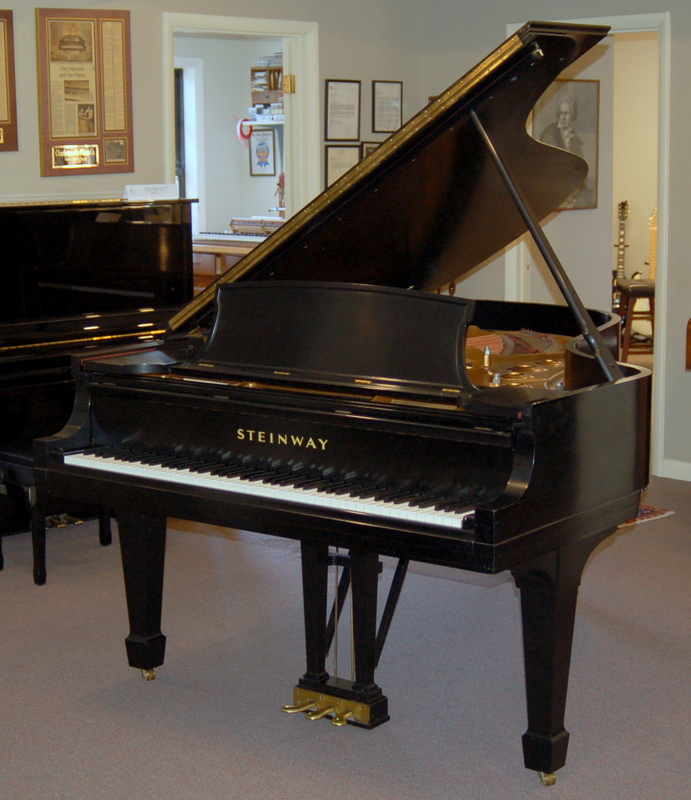 Steinway & Sons Model M Grand Piano – the Crown Jewel Edition! 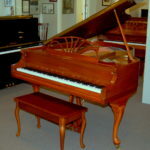 This instrument was manufactured in late 1999 and sold new in 2000 and is finished in mahogany with the Crown Jewel designer package, which includes a brass-trimmed lyre. Gorgeous! 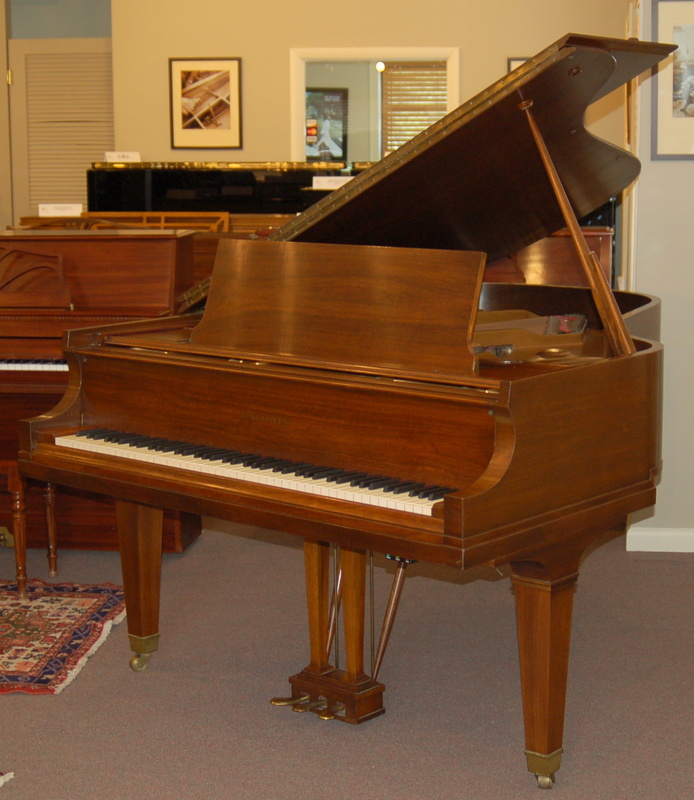 New, this piano sells for over $80,000, but this mint condition one-owner instrument is NOW only $27,500 installed! On consignment – Price has been reduced from $38,000 to $27,500 – motivated seller! 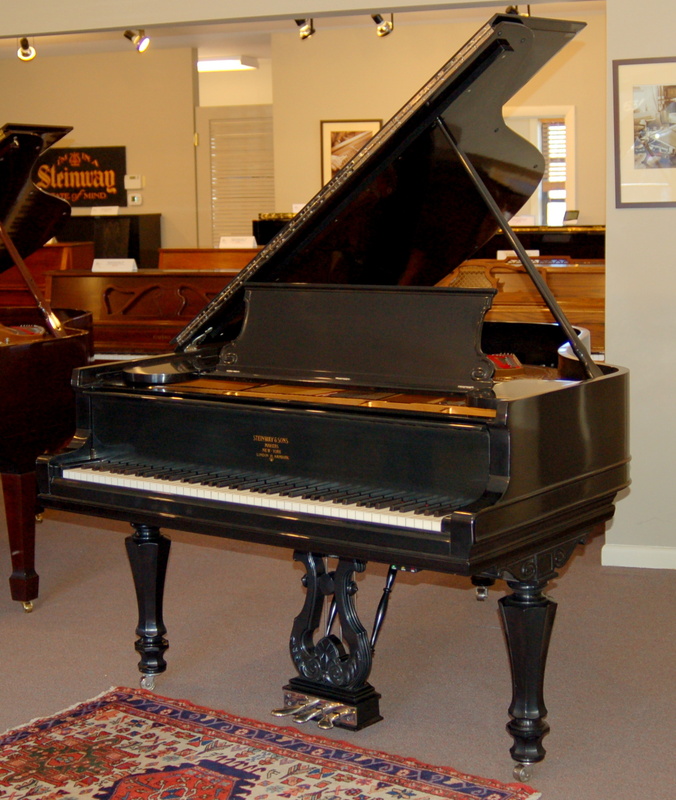 Vintage 1910 Steinway & Sons Grand Piano, fully restored and refinished. 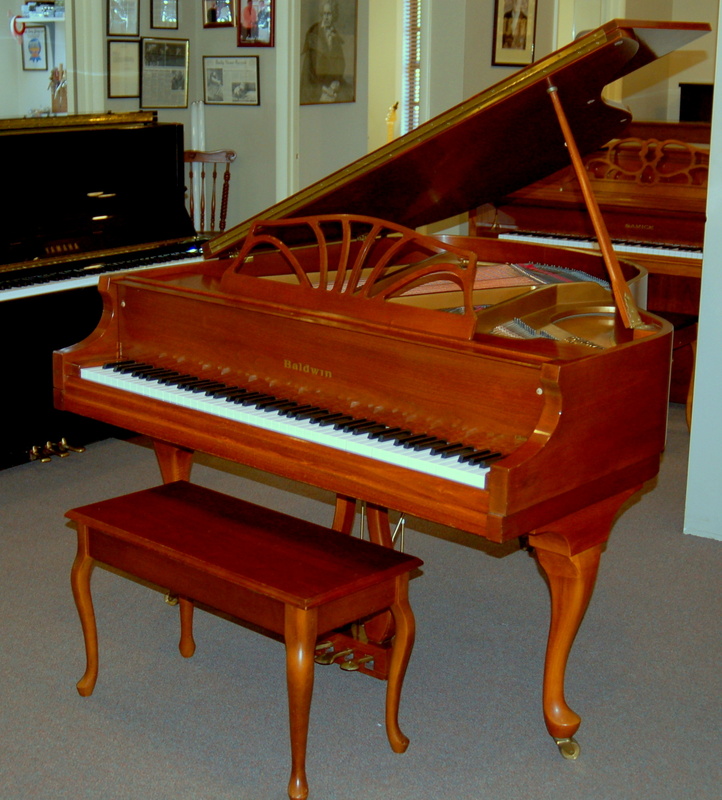 This case style is referred to as “Tulip Leg” or “Tiffany”, and is one of the rarest yet most beautiful case styles made by Steinway. A hand-crafted custom-made matching bench is an added feature. $62,000 installed. Please note: This piano has a provenance, and once belonged to a modern Rock & Roll legacy of renown – from one of the leading concert bands in America! Call for details. Baldwin Baby Grand Piano finished in Cherry Satin in the Queen Anne Style. 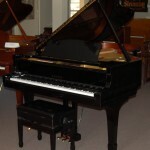 4’11” long, this instrument has a robust sound that you would expect from one of America’s premier piano manufacturers. A late model, one-owner instrument in near-mint condition. Only $8,500 delivered. 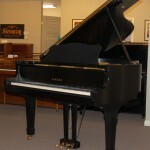 Steinway & Sons Model B Grand Piano, finished in ebony satin in excellent condition. 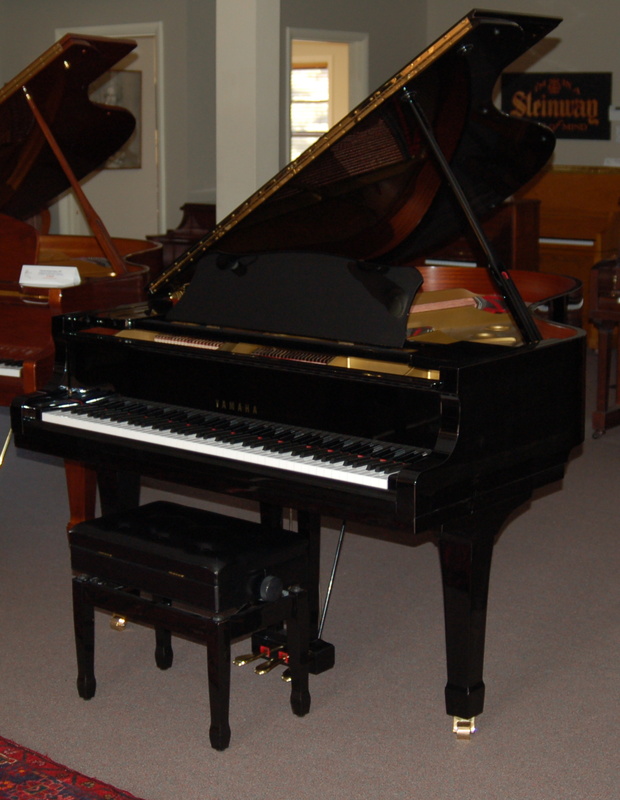 This piano was manufactured in 1962 and has had new Steinway hammers, shanks and flanges installed. Excellent condition! 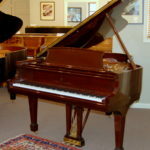 New, this piano sells for nearly $100,000. 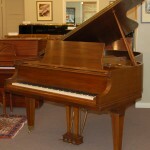 Baldwin L Grand Piano, 6’3″ long, finished in walnut satin. This piano had been restored 20 years ago, and is in great condition. Matching bench, 1 year warranty, delivery and one in-home tuning included. 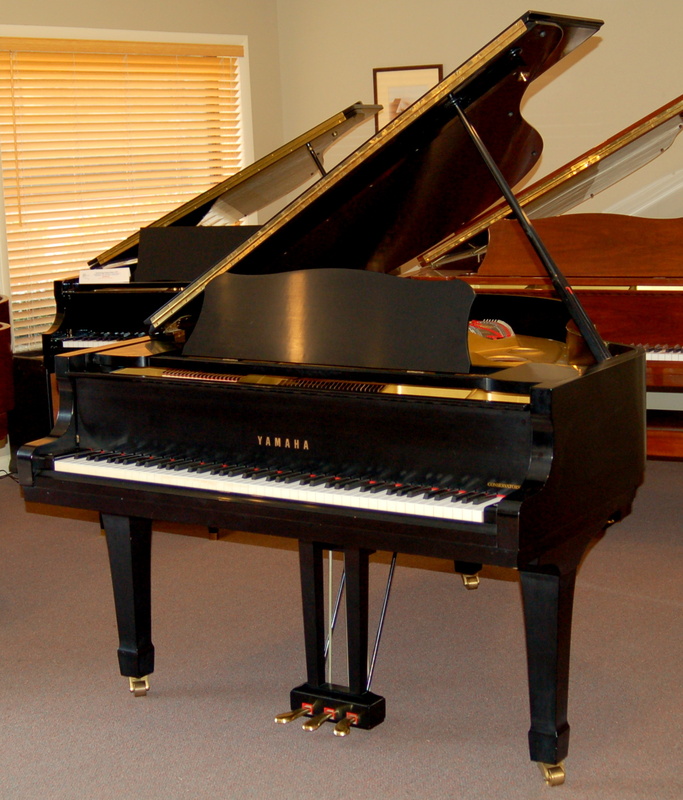 2004 Yamaha Grand Piano, Model C3, finished in ebony satin, with Dampp-Chaser System installed (a $500 value). One owner, mint condition, 3-year warranty. New, this piano retails for $54,000. Our price $17,995 and that includes delivery, an on-site tuning, matching bench and 100% trade-up value guaranteed for 5 years! 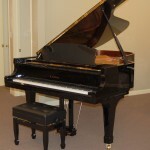 Yamaha C3 Grand Piano, 6’1″ long, finished in ebony satin, excellent condition! 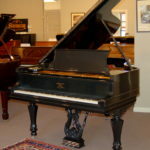 New, this piano would cost in excess of $54,000 (Blue Book Average), but this hardly-used model is only $18,000, and that includes delivery, an in-home tuning, a 1-year warranty, and 100% trade-up value guaranteed for 5 years. At this price, it won”t last long – a great value! 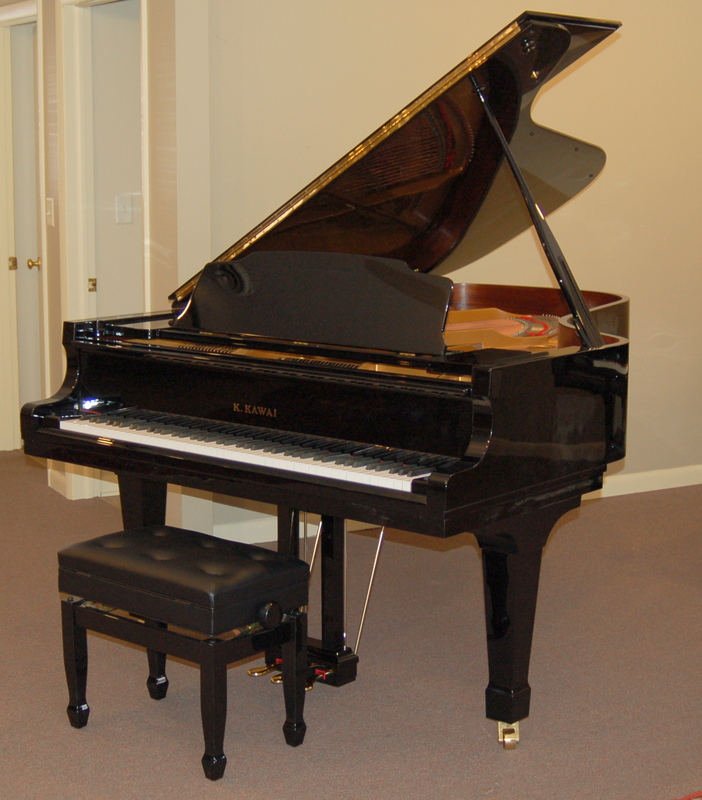 Kawai Grand Piano, Model KG3, 6’1″ long, fully restored and refinished in ebony polish in like-new condition. 5-year warranty, matching bench, free delivery. 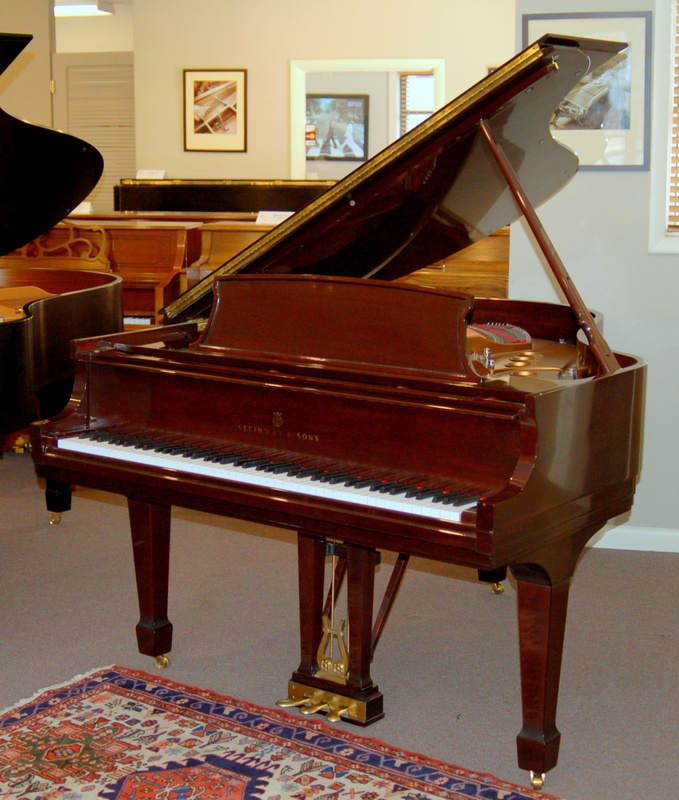 If new, this piano would cost in excess of $50,000 (Blue Book Average), but restored to new it’s only $17,500. 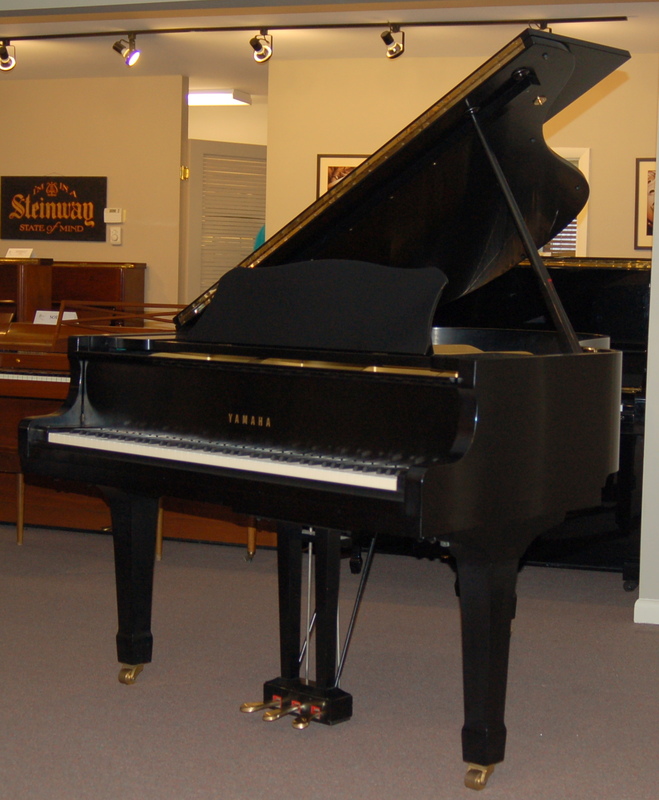 Yamaha C5 Grand Piano, 6’7″ long, finished in ebony polish. This piano has been renewed and is in like-new condition. 5-year warranty. Only $18,995 – compare that price to a new C5 at over $50,000! 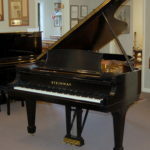 We specialize in the restoration and sales of vintage Steinway Grand Pianos and other fine performance instruments, including the following:* Steinway A * Steinway B * Steinway C * Steinway D * Steinway O * Steinway L * Steinway M * Steinway Chippendale * Steinway Louis XV * Steinway Console * Steinway Grand * Steinway Upright * Steinway Victorian * Steinway and Sons * Mason & Hamlin * Mason and Hamlin * Mason Hamlin A * Mason Hamlin B * Mason Hamlin AA * Mason Hamlin BB * Mason Hamlin CC. 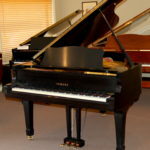 For further information about our products and services, please see: antique pianos for sale * used pianos for sale * mason hamlin * steinway pianos * rebuilt steinway grand pianos for sale * antique steinway pianos * steinway and sons grand pianos * art case pianos for sale * steinway upright pianos * used grand pianos for sale * pre-owned steinway grand pianos for sale * steinway victorian grand pianos * used steinway grand pianos * piano restoration * grand piano restoration * antique piano restoration * piano refurbishing * piano repair * piano rebuilding * piano restorer * piano refinishing * we buy steinway * steinway grand pianos wanted * piano mover northern virginia * cross country piano mover * long distance piano moving * piano mover maryland.